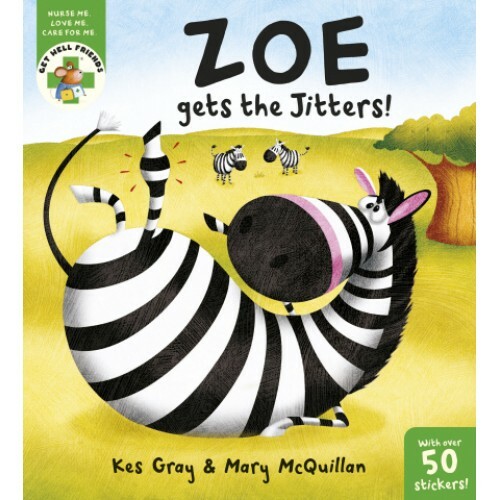 Zoe the Zebra is a very nervous zebra. While the other zebras peacefully chew grass, Zoe anxiously nibbles her lip. "Watch out for lions," she says, "watch out for cheetahs and hyenas!" 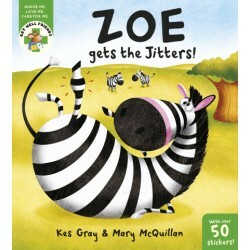 Zoe is so busy looking out for animals that might eat her, she doesn't see a trip to Nurse Nibbles coming.